- Can you escape from Enygma room? Can you escape from Enygma room? Enygma was just opened a few days ago and is drawing players like a magnet! It is a mystery, however, how big the differences are between the ways in which various groups advance to its decipherment. On its first day it was solved, on the second day it got a record time, and yet many teams, over half of them, face serious difficulties in putting clues together. Although with a significantly higher escape rate than its older "sisters", escape rooms Journey and Legacy, Enygma is still a real challenge, a complex riddle, it can close its fist around you and never let you go. 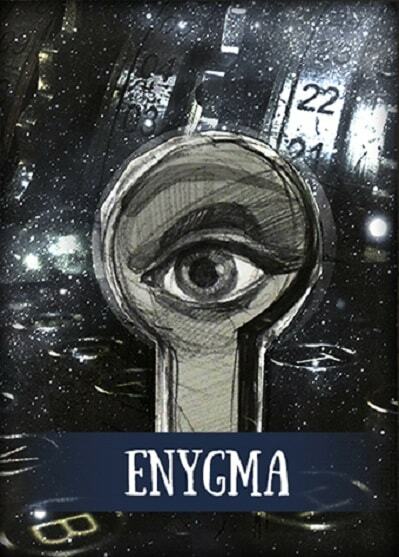 Enygma is the mysterious place you want to break into, because it challenges you to discover its secrets. It is a super fun game, a great riddle, a charade, a brain teaser that awaits you to decipher it and find out its hidden secret! Simple and yet complicated, it is right under your nose but somehow often manages to stay hidden. A game made just for you? Will you be able to understand Enygma?